Launch Party! 10 Years of Beauty Entourage! Our app launch party was a big success. Great way to also celebrate 10 years in business. Thanks to The Riverview for an amazing location and stellar time! Also, Lauren O. Events for coordinating and making my life that much more easier. Corey Lynn Tucker Photography for attending and bringing your husband that made his debut at the beginning of the video and said the kindest words! 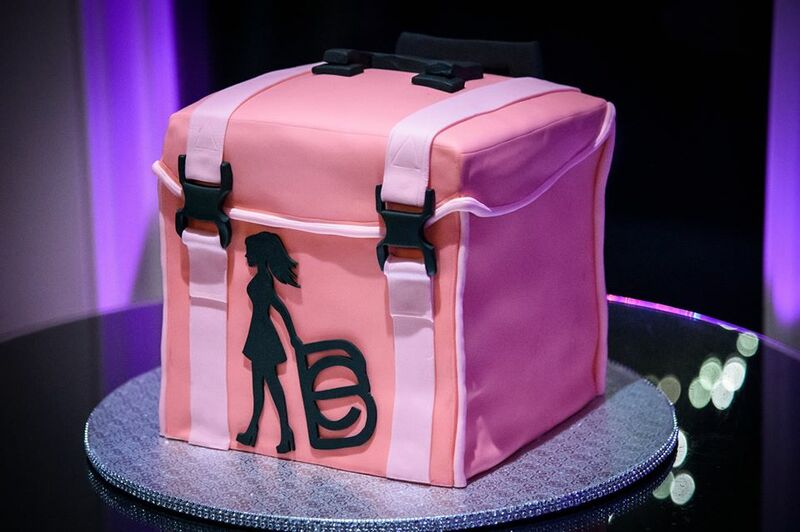 Chow Bella for the beautiful #travelingbebag cake! PopcornApps for being apart of this technology journey and creating a killer beauty platform. New Image Photography for capturing photos from the night! Erik Velasquez for making this video AND, EVERYONE else that has been apart of this AMAZING journey!! Looking forward to the next 10! App Launch/10year CelebrationOur app launch party was a big success. Great way to also celebrate 10 years in business. Kicking off our 11th wedding season and I couldn’t be more proud of a new decade surrounded by so much positivity, love, and people! Cheers to 10 years and cheers to having the best hair and make up team around. #dreamcometrue Thanks to The Riverview for an amazing location and stellar time! Also, Lauren O. Events for coordinating and making my life that much more easier <3 Corey Lynn Tucker Photography for attending and bringing your husband that made his debut at the beginning of this video and said the kindest words! Chow Bella for the beautiful #travelingbebag cake! PopcornApps for being apart of this technology journey and creating a killer beauty platform. New Image Photography for capturing photos from the night! Erik Velasquez for making this video lol AND, EVERYONE else that has been apart of this AMAZING journey!! Looking forward to the next 10!